Svalan is the female interpretation of our best selling style Falken. 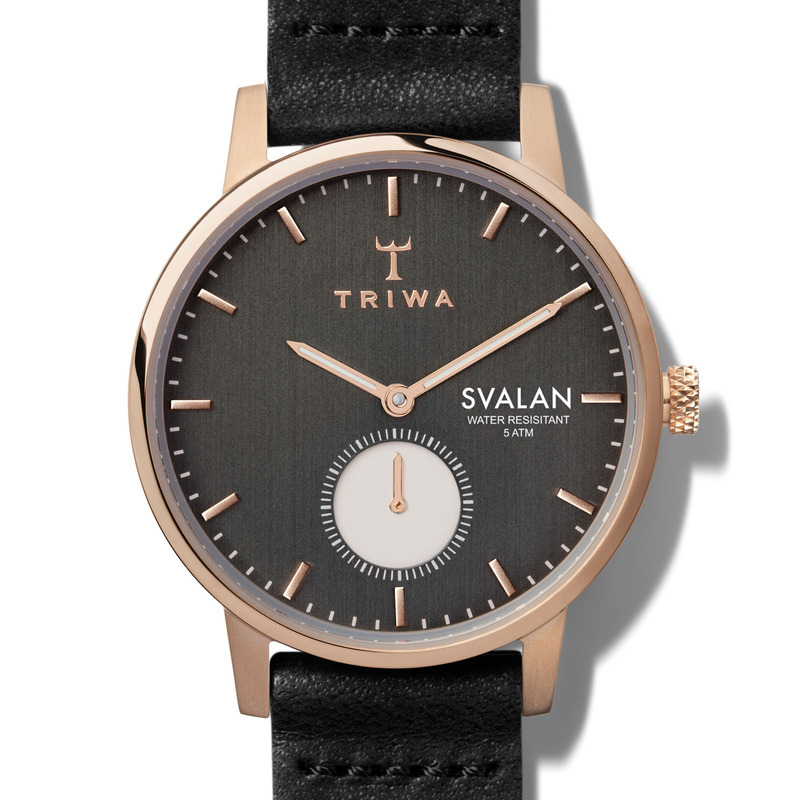 Slim but beautifully bold, it's Swedish details at it’s best. 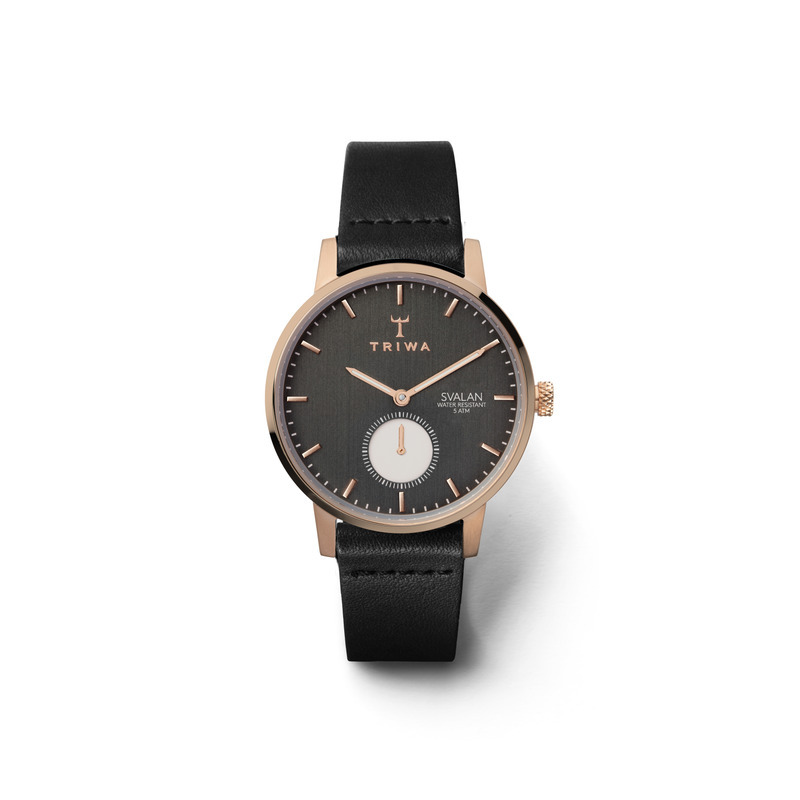 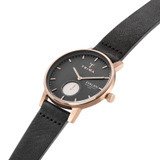 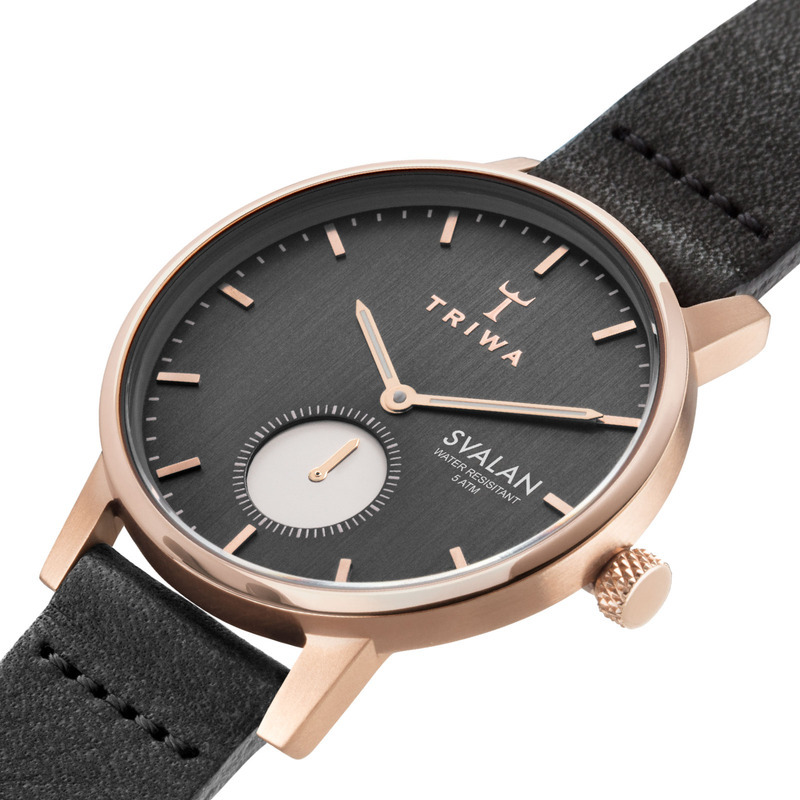 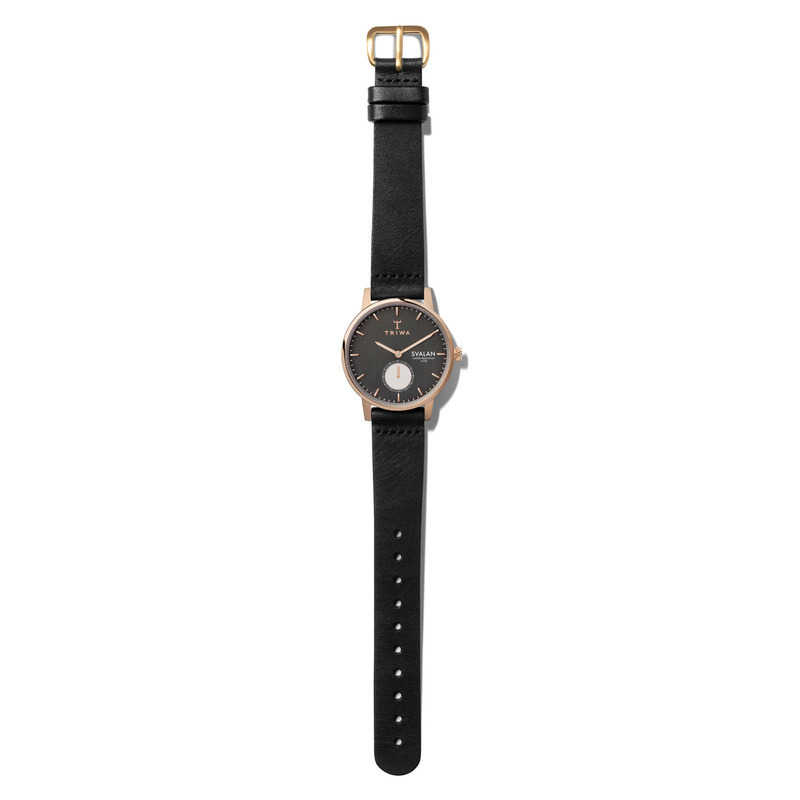 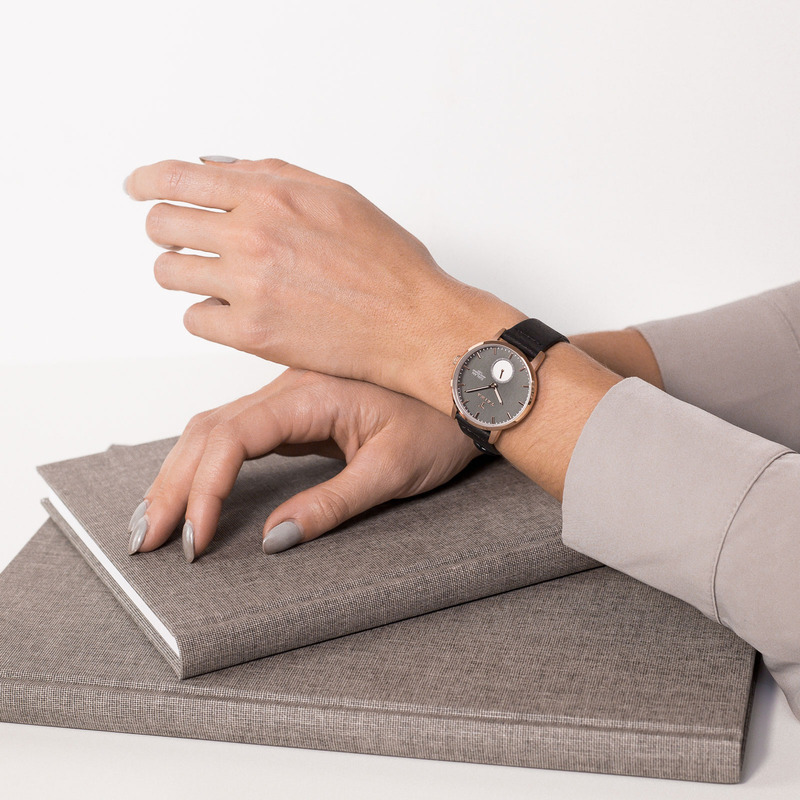 <br /> The Noir Svalan comes with a brushed dark grey dial with contrasting rose gold details, set within a rose gold case and matched with a black Tärnsjö organically tanned leather strap.